Activities at the Makhaza winter school are in full swing, with one of the Wednesday and Thursday morning sessions being financial literacy training presented by Capitec Bank to all the pupils. During these sessions, learners had the opportunity to share their career ambitions, and more specifically where they saw themselves in the next 10 years and what they hoped to save up for. Groups included pupils who hope to become financial risk managers, business owners, world travellers and computer scientists, to name but a few. When it came to the items they’ll be saving for, undoubtedly top of the list was a home for mom and flashy cars for themselves. The Capitec Bank team then ran through the elements required to achieve those objectives, highlighting a key to saving is one’s ability to differentiate between what qualifies as a need and a want. The pupils shared some of their thoughts and understandings on the matter and it was determined that everyone’s needs and wants are different. For example, many of the pupils shared their views on the importance of education but whether education qualifies as a need or a want was a contested issue. Other topics covered were drawing up a budget, making the commitment to stick to that budget and save, and opening a Global One savings account with Capitec Bank to manage that process. The session closed off with a Q & A where a few goodies were handed out. Thanks Megan and your team!! 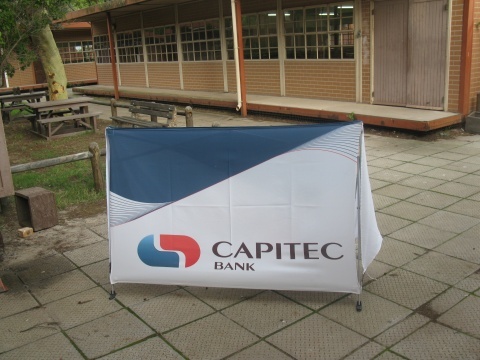 It was a fun and educational morning for our learners as Capitec bank graced us with their presence at UWC. The aim of the workshop was to equip the learners and make them aware that there are always obstacles in every short or long term goal that they want to accomplish. The learners participated in exercises cultivating their knowledge about saving and budgeting, in order to overcome those obstacles and have greater success. Pumeza Joja, one of the tutors said, “The workshop was exciting and very informative; it gave the learners a sense of direction regarding what they are studying, and helped them have a plan of action in line with those goals”. 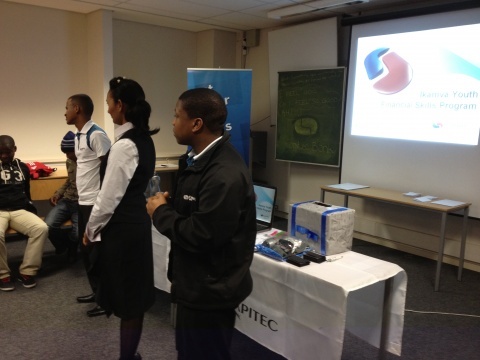 The Capitec team also imparted budgeting skills together with teaching on how to differentiate between needs and wants. “Capitec has given me a skill that I’ll be able to use every day, especially when I’m working and earning my own money” added Noluthando Nkebetwana a grade 10 learner. Thanks to Capitec our Nyanganites are now financially aware. 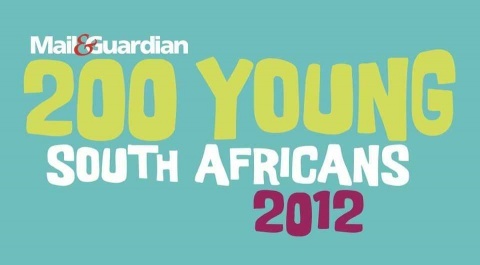 It’s almost becoming a yearly ritual but once again Ikamvanites feature on the Mail and Guardian’s list of 200 Young South Africans. Its that time of the year again. We have reached that crucial midyear point. Umlazi started operations on the 14th of April 2012, tutoring began on the 23rd with just 18 learners. 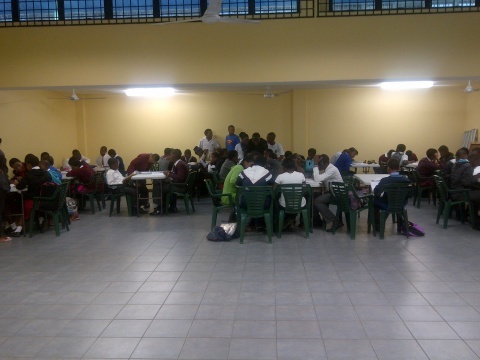 Winter School sees a number of 58 learners and 14 tutors making up the Umlazi team. It’s been a very interesting time for us here in Umlazi, challenges galore but we made it through. 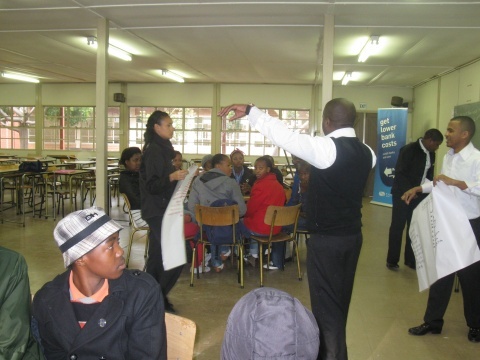 When the branch started operating we sat with 18 learners for 2 whole weeks. We had to approach schools over again and convince learners face to face at assembly that we are here to help them. Our biggest ally in getting the learner number up to the target (50) has been the learners themselves. They are so happy with the help they are getting that they just seem to bring more and more of their friends. Looking forward to our first Winter School as a new branch. IkamvaYouth was invited for the HSRC seminar that was held via video conference in the three major cities of South Africa (Tshwane, Cape Town and Durban). The Durban seminar was attended by Thabisile Seme (Regional Co-ordinator for KZN) and Cheryl Nzama (Branch Assistant: Chesterville branch). The Seminar took place at the HSRC Cato Manor offices near the Chesterville branch and the ikamvanites received a warm welcome from the HSRC staff. The opening speaker for the Seminar was Dr Monde Makiwane who discussed the “youth bulge”, a phenomenon that South Africa currently faces. He explained the youth bulge phenomenon as being the “result of the cohort of young people and prime-aged adults increasing at an alarming rate –and this is not caused by the high teenage pregnancy rate S.A has but by the fact that more people were born during the early 80’s & 90”s – and since S.A is a developing country, the high unemployment rate is associated with the youth bulge. The second speaker, Dr Miriam Altman, discussed key challenges linked with youth unemployment. The seminar raised the question of how the government and South Africa at large are to tackle the high unemployment rate that mostly affects the youth. There are a lot of factors that affect the high unemployment rate of South Africa however the youth needs to stop relying on the government and take matters into their own hands and go out there and want that better future for themselves and families too. The right attitude always leads you to your goals undoubtedly!